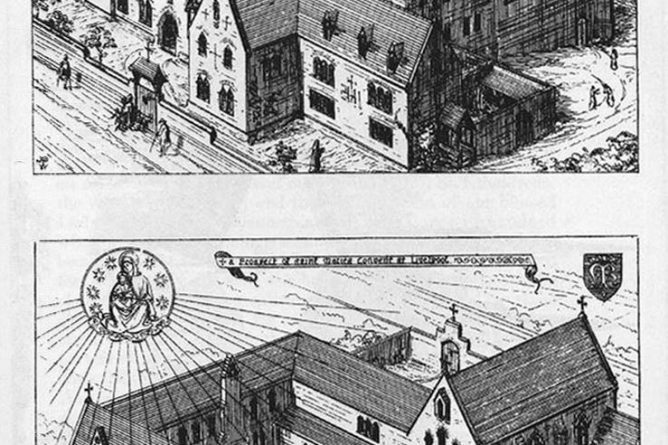 English Heritage has just published its new ‘Introduction to Heritage Assets’ on Nineteenth and Twentieth-Century Convents, written by KSA’s Gothic Revival specialist Dr Timothy Brittain-Catlin. These Introductions are written by experts and peer-reviewed before publication. They provide architectural enthusiasts and the general reader as well as conservation officers and other professionals with an outline of the history of important building types and an insight into priorities in conservation policy. Dr Brittain-Catlin is currently working on other Gothic Revival projects, including a book based on KSA’s highly successful 2012 international conference ‘New Directions in Gothic Revival Studies Worldwide’, and contributions to the forthcoming volume on Material Reform in the University of Leuven Press’ series The Dynamics of Religious Reform in Northern Europe, 1780-1920, both of which will be published in 2016. 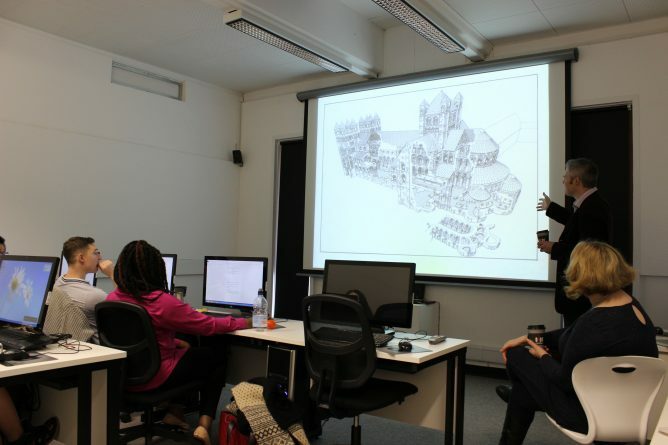 Architectural Visualisation students were treated to an insight into the past when English Heritage visited the school to talk about the nearby St. Augustine’s Abbey in Canterbury. The archaeological site is the subject of the students’ latest project, Virtual Cities, which redirects techniques and skills typically used to visualise prospective architectural proposals, to reanimate the past. The project will see students rebuild the Abbey to its former glory prior to the suppression by King Henry VIII in the 1530s. The virtual model is designed to be fully navigable, allowing audiences the chance to experience the abbey complete with interpretations of the interior spaces and decoration. The first stage of the St. Augustine Abbey project is due to be completed by spring, with additional work and detailing to be completed later.